On the surface, this card may seem weak. A freeze effect for 1-mana certainly seems like overpaying, but the fact it’s a Twinspell changes our perspective. Being able to freeze a large minion over two turns with 1 card is great. 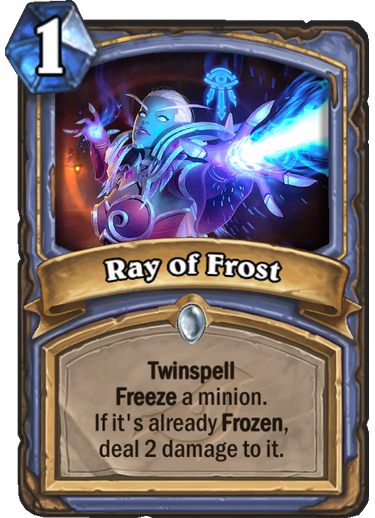 Being able to freeze two minions on the same turn is essentially a mini-Frost Nova for 2 mana. 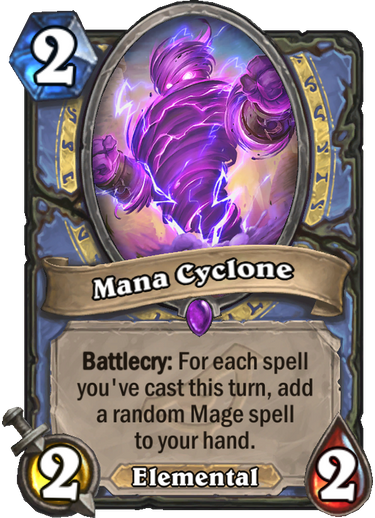 Freeze Mage or other defensive Mage decks would love the utility this card provides, and faster Mage decks may be able to abuse it with Sorcerer’s Apprentice, Vex Crow and Mana Cyclone. This is a versatile card that will likely find its way to differently styled decks. Mini-Flamewaker that doesn’t hit face. This card seems pretty good at maintaining board control, which is an issue faster Mage decks generally face when competing in aggressive mirrors. Synergizes very well with Mage’s cheap spell kit. 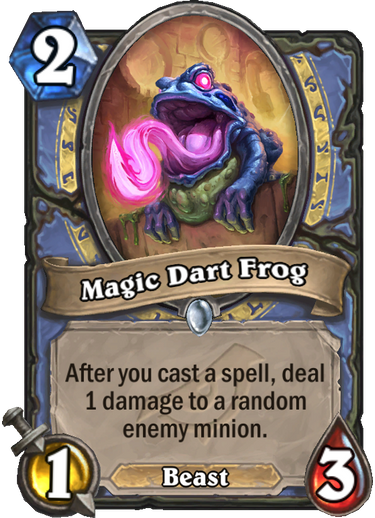 The only problem is that Magic Dart Frog has a weak body, and it doesn’t hit face. Have we mentioned that it doesn’t hit face? 3/2 discover for 3 mana is a good deal, and we’re also getting a guaranteed class minion, which tends to be stronger on average than neutral minions. 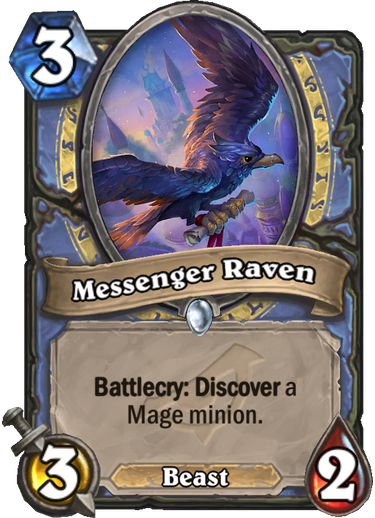 Raven would be a good fit for Mage decks that look to abuse Conjurer’s Calling, since it’s both a good target for the spell and generates another minion that could potentially become a target. If a minion-centric Mage becomes viable, Raven will be played, but it might be good enough to get into other decks too. By itself, this card doesn’t seem that impressive, but it has great synergy with some of the more powerful mechanics available to the class in this expansion. To be clear, we want gas for Mana Cyclone and Magic Trick offers 2 spells in 1 card. It also has a very good chance of offering us another 1-mana spell, potentially enabling these “Miracle” value turns. This is a very interesting card and promotes minion-centric decks much like Evolve decks. We want high impact battlecry minions with relatively small bodies for their mana cost in order to maximize the spell’s effect, with an option to cast it on damaged minions. Astromancer is a good example. This card also makes for a scary, and relatively cheap combo with Khadgar. Success with Conjurer’s Calling is not a certainty, but its power level is worth trying to build around. 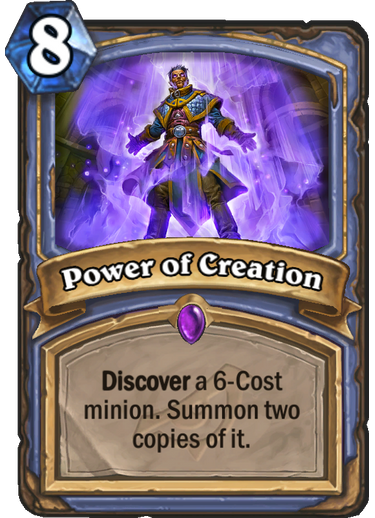 Cool design but ultimately, mana cost is the most important aspect in Hearthstone. The drawback outweighs any utility the card provides, especially when its body is so weak for 4 mana. Mage wants to be able to play its spells efficiently, and there aren’t enough strong combos that this minion enables. We believe Mana Cyclone is one of the best cards in this set. For 2-mana we’re getting a 2/2 that can generate an obscene amount of value relative to its cost. Think of it as a reverse Lyra the Sunshard. 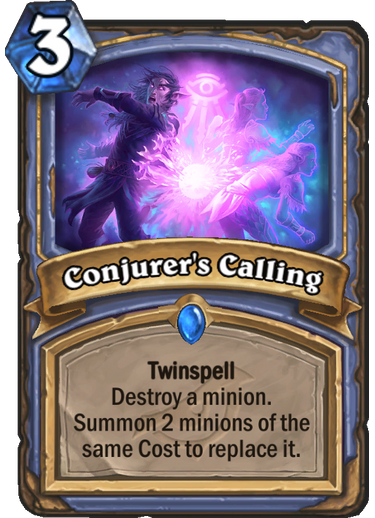 Its ability is not as powerful as Lyra’s since it cannot continue to chain spells it has generated, and its effect is not persistent through multiple turns. But it’s just a 2 mana 2/2 and it’s not even a legendary. 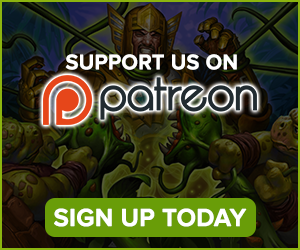 Mana Cyclone warps deck building around cheap spells and promotes a “Miracle” style of play where we swing the board with multiple spells during a single turn and “cash in” at the end of it. Has great synergy with Twinspells and Sorcerer’s Apprentice in particular. This is a pretty good value card that also generates a fair bit of tempo. 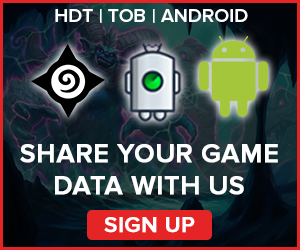 The rule of thumb is that a random minion is “worth” one mana less than its cost in tempo, so we’re looking at 10 mana’s worth of stats for just 8. The only problem with this card is that it doesn’t do anything that is truly “broken”, and most likely fits a midrange style that is dense in minions and threats, where it tops the curve. Whether this card sees play depends on how good that Mage deck would be. Power of Creation doesn’t carry a deck to competitiveness by itself. 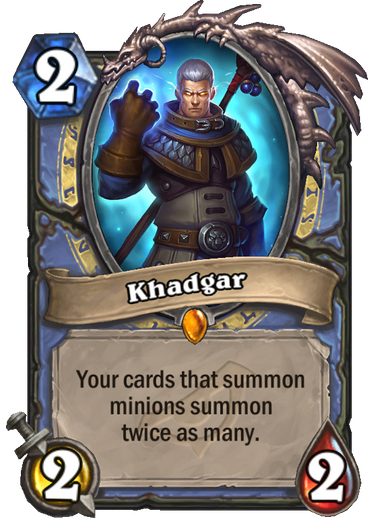 If Khadgar doesn’t see play in this expansion, it will be because the decks he enabled weren’t quite strong enough. He has pretty good synergy with cards like Conjurer’s Calling, Vex Crow, Astromancer and Power of Creation. 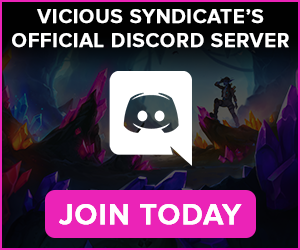 Khadgar’s biggest problem is that he’s very reliant on synergy and if his obvious partners turn out to be underwhelming, he won’t make it either. This dragon is a flashy card with a lot of potential. 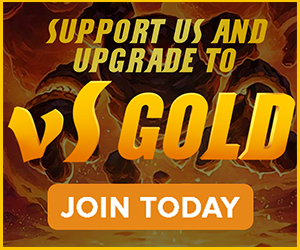 The biggest advantage of Kalecgos is its persistent effect. 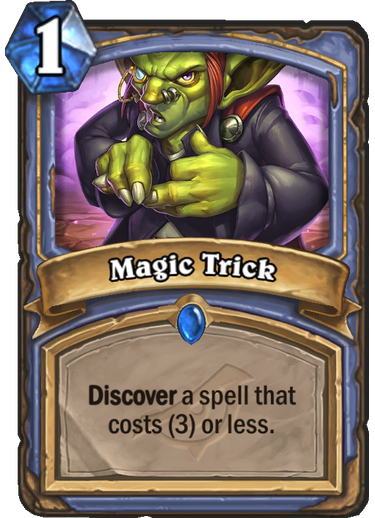 You can combo it with AOE and clear/freeze the board, and if left unanswered, it will continue to enable free spells every turn. He also has mana cheating implications with Jepetto, potentially turning into a Preparation on steroids. 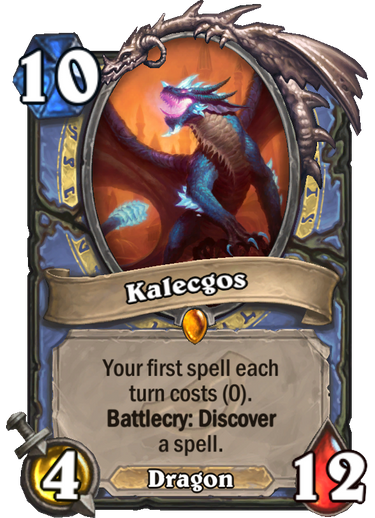 Kalecgos’ biggest weakness is his base cost. At 10 mana, you need a very good reason to put him in your deck. Eventually, Mage will probably find one. 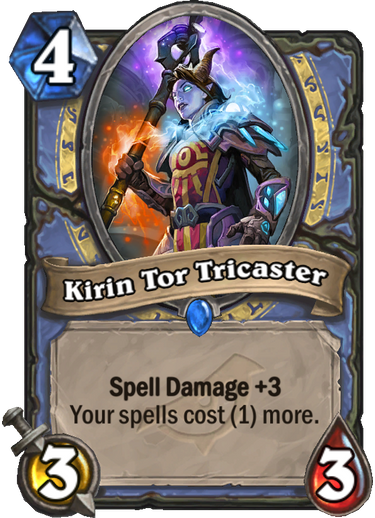 Mage got some cool cards but they’re unlikely to be enough to make up for the fact its Year of the Raven sets are horrid. Mana Cyclone and Conjurer’s Calling are promising build-arounds for a spell-focused deck and a minion-focused deck, respectively. If both directions fall flat though, Jaina will be in trouble.